Red Bull did better than they expected in the French Grand Prix, but were unable to fully capitalise on a free double-podium opportunity as Daniel Ricciardo was hindered by a "wounded" car, losing out to Kimi Raikkonen. With the Red Bull engine choice for Honda in 2019 now made and officialised, the Australian is also the key to the F1 driver market in the coming weeks. The Australian was one of the main beneficiaries of the chaotic start to the race in Paul Ricard,which dropped a Mercedes and a Ferrari down the order; Ricciardo moved up to fourth place on the opening lap and made light work of Renault's Carlos Sainz after the early safety car period. 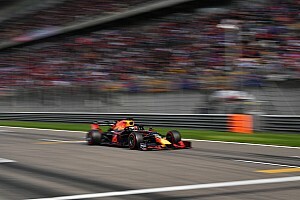 From there, Ricciardo stayed within a few seconds of second-placed team-mate Max Verstappen, and his later pit stop gave him fresher tyres for the final stint. 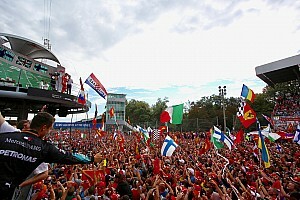 A damaged front wing meant that the Australian couldn't stay with his team mate and resist a recovering Raikkonen. 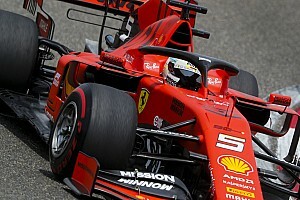 Instead, he dropped back towards Ferrari's Raikkonen, who powered past the Red Bull driver on the Mistral straight with a handful of laps to go. “I’m obviously a bit disappointed and it’s a shame to lose out on the podium today," said Ricciardo. "We were definitely quicker than fourth place and it could have been a good battle with Max. I don’t know why yet but the front wing was damaged during the race. "Before the pit stop we had really good pace on the supersofts, I don’t know how good compared to Lewis as he was so quick, but it seemed that we were pulling away from Kimi and catching Max. "Then about two laps before I stopped I had damage to the left part of the front wing; I felt some understeer immediately and I don’t know whether it was a failure or I hit some debris but the mechanics could see it during the stop." Ricciardo added that similar damage to the other half of the wing further hampered his pace. 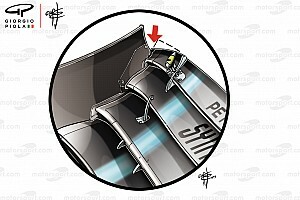 "After the stop, the identical part on the right of the front wing also broke. Because of the damage we had less downforce, the car was understeering, and the tyres were suffering. "Kimi was always going to catch us at the end of the race with that pace, the blue flags were also pretty bad, but we were a wounded car." After his Monaco Grand Prix win, Ricciardo was 38 points off the championship lead and third place overall. 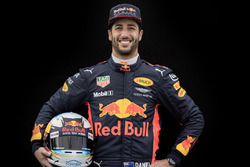 Despite remaining in third place in the drivers' championship, Ricciardo's deficit has now extended to 49 points in the last two races, further lengthening his already-long odds at challenging for a title this season. All eyes will be on Ricciardo in the coming weeks as he holds the key to the F1 driver market for 2019. Now that Red Bull has committed to Honda engines for next season, the Australian knows fully what the options are. He would be brave to move to McLaren, given how far off the pace of Red Bull they have been with the same Renault engine. If he were to leave, Red Bull would probably pull back Carlos Sainz so a switch to the works Renault team would effectively end in a swap. He will not go to Ferrari and the Mercedes chance is fading, as Bottas has made a stronger case this season on many levels, for retention. A two year extension with Red Bull would be a likely route, which leaves him a free agent for 2021 when many of the top driver contracts expire. He will be 31 at that point, still in his prime and able to capitalise on a title winning car if he can get into one. Do you think Red Bull will have any chance of challenging for either championship this season? Leave your comments below.